The fragrance industry has launched a few fragrances that I would call olfactory UFOs. Meaning, fragrances that were so unique that you would recognize theirs scents in the first second you would smell them. Mugler Cologne is one of them. Created from the boundless universe of Thierry Mugler, it represented an extraordinary blend of sophistication, simplicity and uniqueness. 18 years after its launch, Mugler has dared to revisit its Cologne universe by adding four completely new variants that should take you into a holistic experience journey. How to revisit centuries of perfumery and add an original touch that will make a blast in the fragrance market? This was the mission for Mugler Cologne, a fragrance launched by Thierry Mugler in 2001 and created by Alberto Morillas. The inspiration comes from a simple piece of soap that Thierry Mugler found in one of his trips. Drawn from the 14th century, the fragrance revisits the cologne family by adding a new sensuality to it. Mugler Cologne found a core audience of fans that felt in love about this creation from day one. 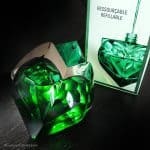 The original Mugler Cologne retains the sensual and almost scandalously addictive wake that made its success since 2001. You experience a true carnal freshness that is intimate and unforgettable. Like a second skin, it aspires to sublimate your personality with its singular notes. 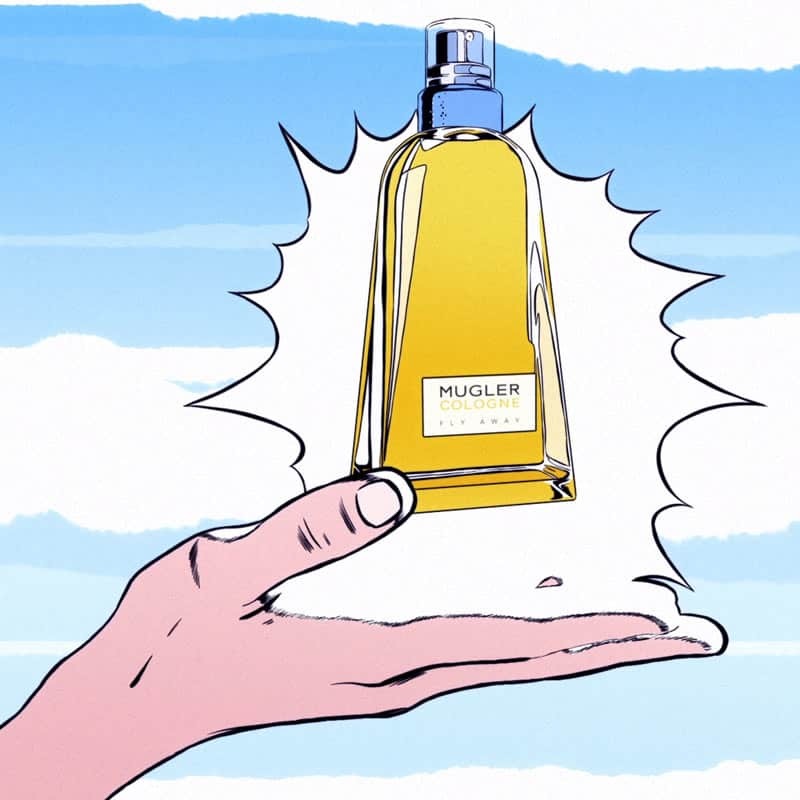 It is the cornerstone of the Mugler Cologne universe. 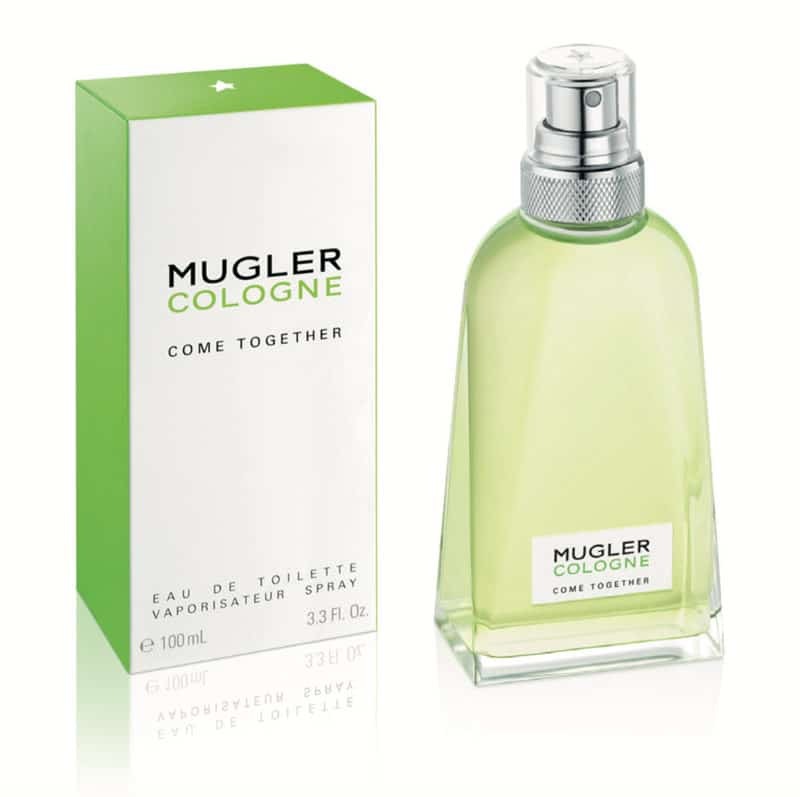 By revisiting the Mugler Cologne story, the original Cologne is now renamed Mugler Cologne Eau de Toilette COME TOGETHER. The classic accord of Cologne (bergamot, neroli, petit grain and orange blossom) blends with a secret accord called “S”, and the fresh and moist smell of freshly-cut stems. Notes of white musk follow for an effect that exalts the scent of clean freshness. Feel the carnal freshness of skins intertwined: intimate, unforgettable. The S note, one of the most kept secrets of perfumery, never ages and still brings this vibrant sensuality to the fragrance. It was created by Alberto Morillas (Firmenich). What I always loved about Mugler Cologne was the amazing contrast of such clean purity with a tremendous sensual aura. The main name is kept which allows to build a solid universe. 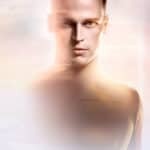 With the launch of Mugler Cologne universe, there is a very simple goal: offering an “out-of-this-world experience” through arousing sensations and singular ingredients. It is surprisingly simple: 5 fragrances, all unisex, five colors around one strong theme. This is completely aligned with the brand DNA as Mugler always surprised by the simplicity and power of each fragrance. In one word: if you fall in love with one of these scents, it is going to be hard to wear something else. For each fragrance, MUGLER breathes the freedom to create, vibrate, mix odors and colors to create its own “wake”. 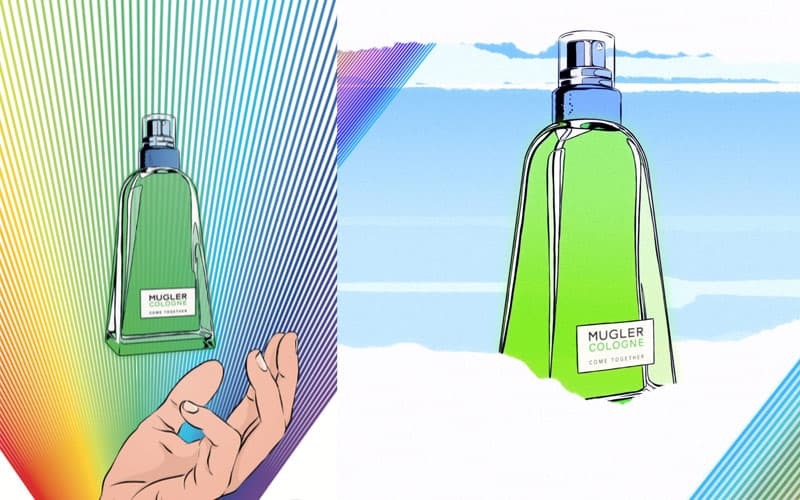 The flacon becomes a bottle, the bottle becomes a prism: like the light decomposed into an infinite chromatic spectrum, MUGLER COLOGNE diffuses scents of unlimited freedom. A detonating collection, amazing communication: no muse, no photography but a return to animated illustration to invite to a pop universe, colorful and surreal thanks to the iconoclastic talent of the illustrator Ugo Bienvenu. Mugler Cologne TAKE ME OUT, Dream Big or Go Home! 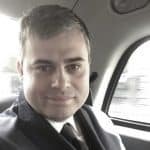 Franz Ferdinand was right: Take me out! With this new fragrance variant, Mugler takes the Cologne to a new olfactory facet. TAKE ME OUT is an intense Cologne that blends the brightness of an orange blossom with the freshness of a shiso leaf. The orange leaf illuminates the fragrance freshness with a very solar feeling. On the skin there is an interesting sparkling aspect that helps pursuing freshness for a very long-lasting moment. Mugler says there is a secret olfactory note called P that is supposed to bring a sensual vibration to the olfactory structure. With this new variant, we discover a floral facet to the original Mugler Cologne that is very pleasant and very solar. Jean-Christophe Hérault (IFF) is the perfumer who created this fragrance. He knows very well the Mugler brand as he has already worked on the “Les Exceptions” collection. What I like about Mugler Cologne Take Me Out, is the clarity of the orange blossom note that blends perfectly with a green facet. Mugler Cologne FLY AWAY, I Dream High! FLY AWAY is an intense Cologne that blends a sparkling yellow grapefruit with aromatic hemp. Lively then captivating, FLY AWAY is twisted by the secret “C” note to heighten the senses to a high effervescence. The biting sparkle of yellow grapefruit meets a devilishly aromatic hemp accord. The wake is intense and powerful. Galvanizing, the secret note C caresses the senses. This fragrance was created by Nathalie Cetto (Givaudan). 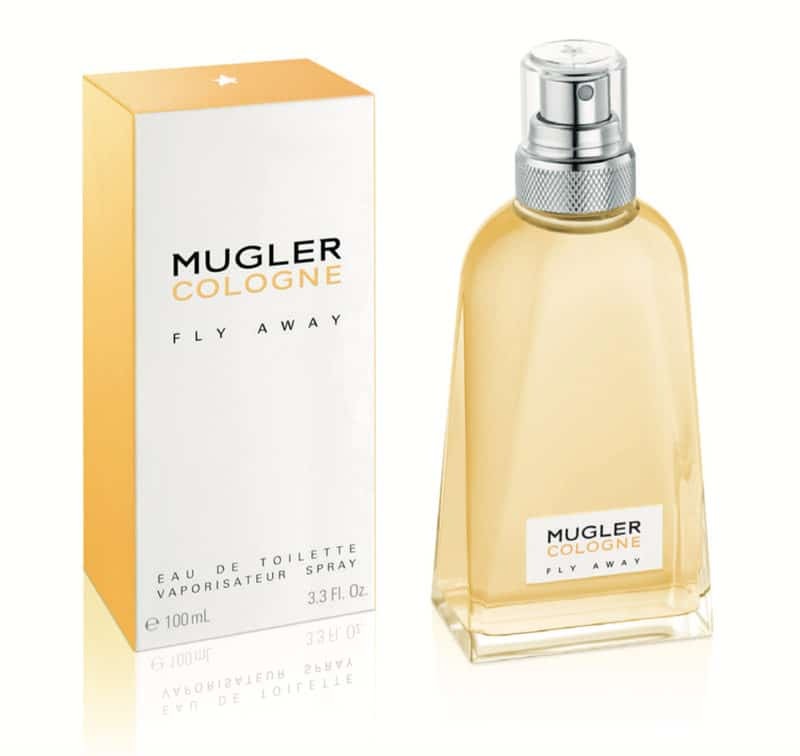 What I appreciate in Mugler Cologne Fly Away is the energy and the sharpness of a grapefruit facet that provides a vibrant start of this fragrance. There is a very intriguing aromatic note that takes the Mugler Cologne universe to unknown territories. Mugler Cologne LOVE YOU ALL, All ways and Always! LOVE YOU ALL is an intense Cologne that blends a velvety blue licorice with voluptuous white amber. A warm, sensual trail mingled with a mysterious breath of freshness. Twisted by the secret “E” note, LOVE YOU ALL transports you in a thrilling and ecstatic abundance. It is a very “carnal” Eau de Toilette that capsizes the senses like a second skin. Fresh and light, Eau de Toilette LOVE YOU ALL is an ode to inner peace and self-confidence. The perfumer behind this creation is Jean-Christophe Hérault (IFF). 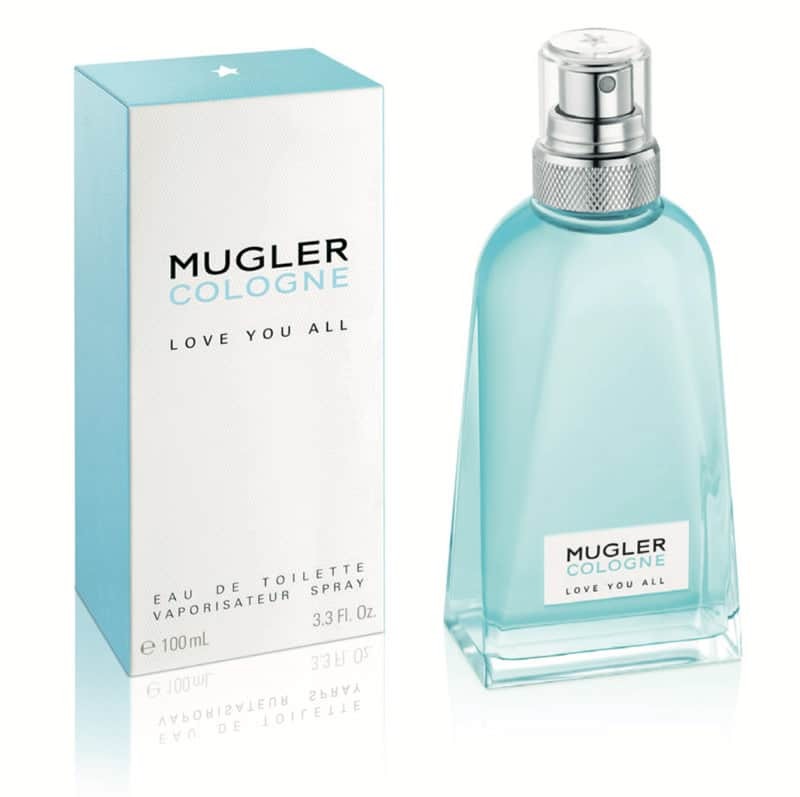 With Mugler Cologne Love You All, you really need to try on skin. It develops a very exciting olfactory story with a sensual aspect. I really like the kind of gustative light aspect that blends in a discreet way. It is a very precise olfactory structure. RUN FREE is an intense Cologne with a dashing purple ginger and a vibrant Akigalawood®. An innovative and bold olfactory composition. Twisted by the secret “D” note, RUN FREE unleashes an electric desire for freedom and the infinite. This fragrance feel like a wind of freedom. It is explosive, and has a very surprising freshness into it. Shyamala Maisondieu (Givaudan) is the perfumer who created this variant. 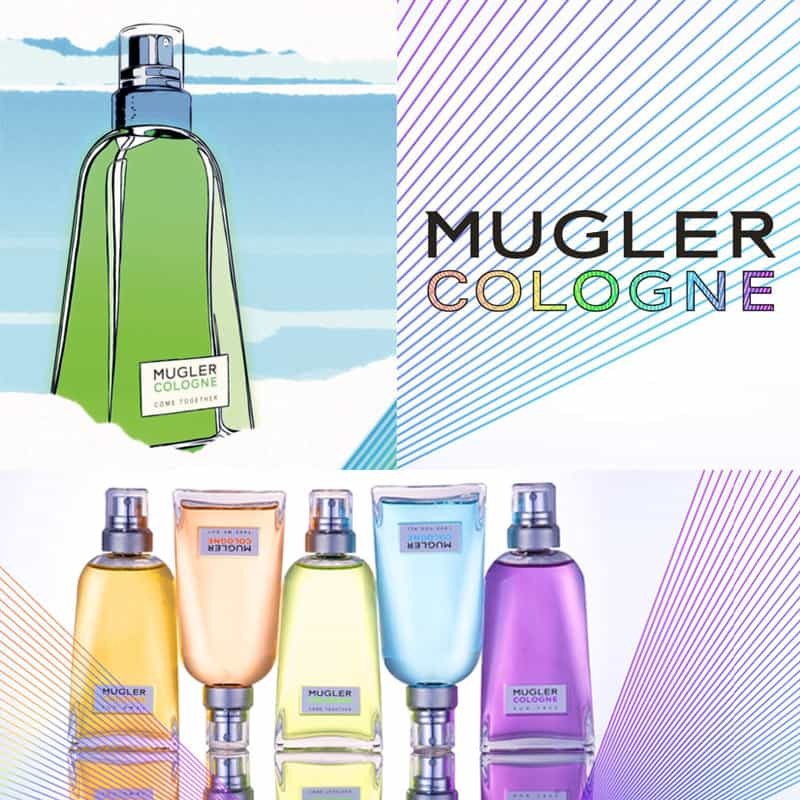 The interest of Mugler Cologne Run Free is by far its energy and vibrancy. There is very interesting olfactory paradox between spiky elements and round deepness. This fragrance is also bringing the Mugler Cologne universe a step further into a new direction. The new Mugler Cologne universe represents five fragrances, true winds of freedom. With such a strong focus, Mugler is truthful to its olfactory heritage and showcases its know-how as a fragrance house. It is a daring move by bringing 5 different variants at the same time which show the brand conviction about a honest and truthful perfumer work.